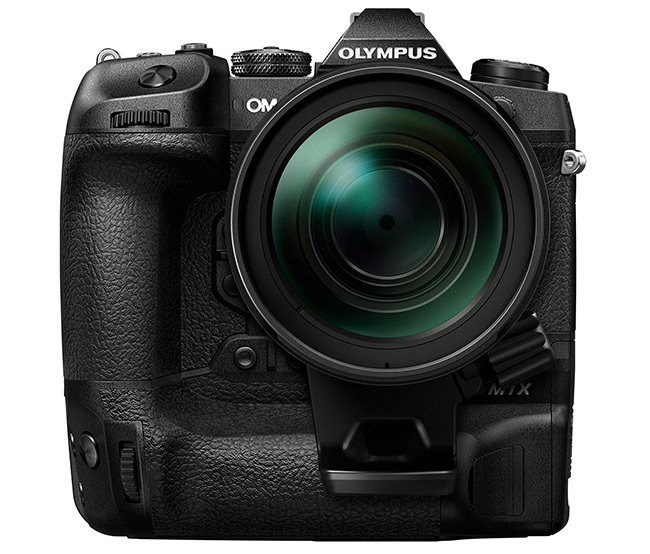 It certainly looks like most of the rumored specifications we reported earlier and back in December were accurate, as Olympus has just sent out the official press release for the O-MD E-M1X. 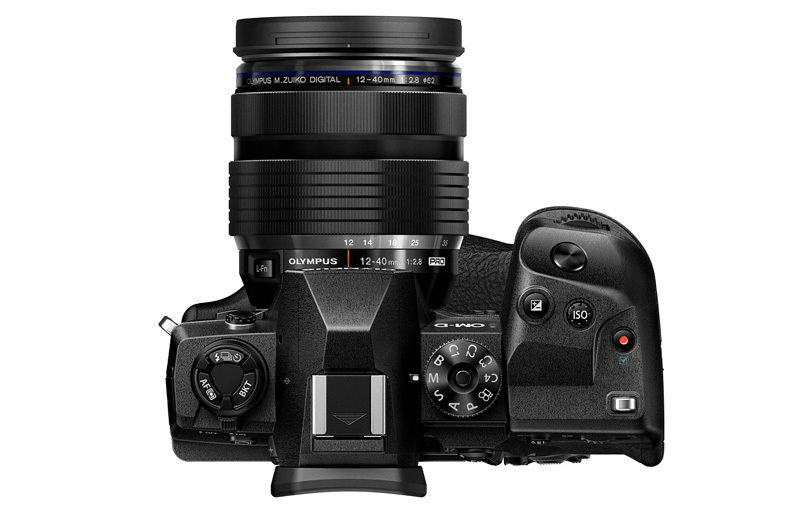 The world’s highest image stabilization performance – up to 7.0 shutter speed steps of compensation with just the body and up to 7.5 stops when paired with the M.Zuiko Digital ED 12-100mm F4.0 IS PRO lens. 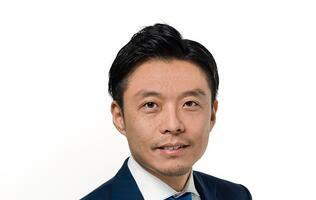 Intelligent Subject Detection AF – Deep learning-based system automatically detects the subject for better precision. Advanced DUAL FAST AF with 121-point all cross-type sensor with a low-light limit of -6EV for dark scenes and low contrast subjects. 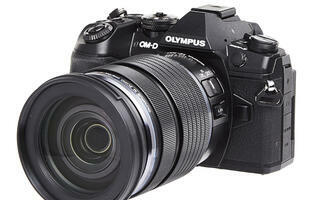 Pro Capture mode for lag-free shooting by capturing up to 35 RAW frames once you half-press the shutter. Live ND that can be set in five levels, from ND2 (one stop) to ND32 (5 stops). 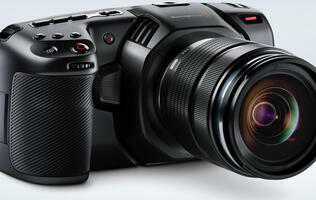 60fps high-speed shooting at 20.4MP and RAW recording; 18fps with AF/AE tracking. The camera will not get new batteries, but use two BLH-1 batteries together to get about 870 shots per charge. 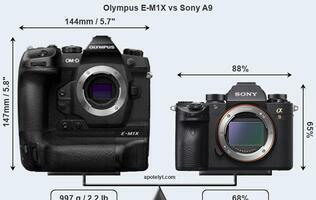 It will support USB power delivery and power supply to the camera from 100W USB PD standard power sources. New 25-point group target and custom AF target modes have been added that allow you to really define what you want the AF system to focus on. Videographers might be interested to note that the focus ring in C-AF AF can also be set to instantly switch to manual focus, allowing you to get pinpoint focus faster before moving to follow focus manually. 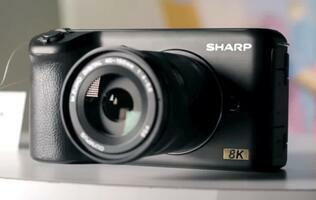 120 fps high-speed movies mean you can capture slow-motion in HD. As you can see from the two images above, it looks like there won't be a top information panel. There will be the usual flip-out rear screen though No news about pricing and availability yet, but we’ll be sure to update you once we know. 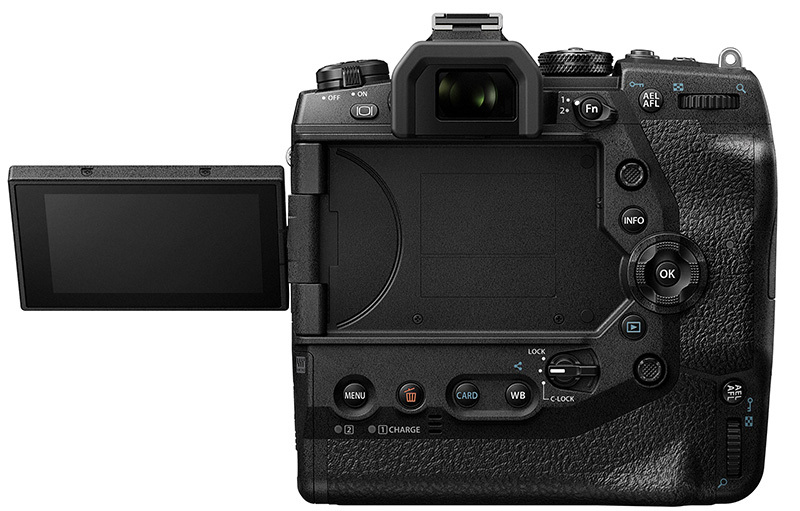 Also, there’s an Olympus event scheduled for tomorrow that we will be attending, so stay tuned for more information and live pictures of the camera!